Today Channel 5 officially announces Help the Animals at Christmas, a new live show on 21st December. Channel 5 will be promoting the Help The Animals Appeal, raising funds for UK animal welfare charitable organisations and showcasing the work of five incredible UK animal charities, RSPCA, Scottish SPCA, Blue Cross, The Donkey Sanctuary and Wildlife Aid Foundation. Broadcast live on Channel 5 from Salford’s Media City, the presenters confirmed for the live show are Susan Calman, Gethin Jones, Gaby Roslin, John Thomson and Michael Underwood. Jeremy Vine’s Storm Huntley will also be on hand to manage the live social media hub. 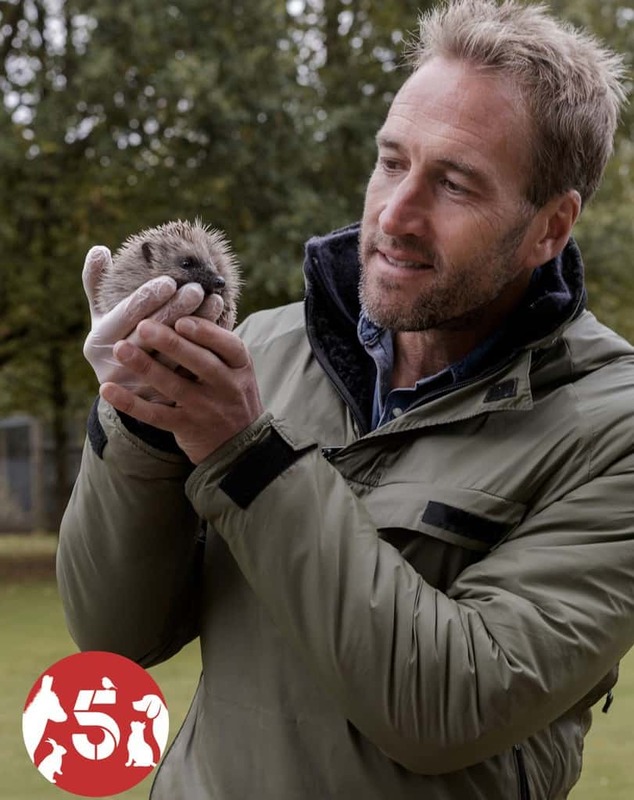 Across the night there will be special episodes of Channel 5 favourites, all of which have teamed up with one of the five charities to present the amazing work they do every day; Ben Fogle’s New Lives in the Wild, The Yorkshire Vet, The Dog Rescuers with the cast of Neighbours and Jo Brand’s Kitten Rescue. Many animals are suffering in silence this Christmas, with many abandoned, neglected and abused. It is heart-breaking to see so many animals without a home to call their own at this time of year. Animal cruelty doesn’t stop just because it’s Christmas. Help the Animals at Christmas aims to raise awareness of the issues and threats facing animals and tell the stories of some of those who need rescuing, rehoming, or need some extra care this Christmas. Viewers will be given the chance to get involved and join the fight to prevent cruelty, provide rehabilitation and alleviate suffering to animals. The RSPCA, specialise in animal rescue and improving the welfare of all animals, whether they are pets, farm animals, lab animals or wildlife. Over the Christmas season the RSPCA is braced for around 1,800 calls a day as it continues its vital work caring for abused, neglected and sick animals across England and Wales Just this festive season the charity expects to take in around 19,000 animals – with many, many more already in its care patiently waiting to find their fur-ever homes. The Scottish SPCA, Scotland’s animal welfare charity, rescues, rehabilitates, rehomes and releases abused, abandoned and injured animals across Scotland. As the only animal charity in the UK recognised as a reporting agency to the Crown Office, their inspectors enforce the Animal Health and Welfare (Scotland) Act 2006. Throughout the festive period their dedicated animal rescue officers, inspectors, vets and animal care teams will be on hand to save animals that are not so lucky. Blue Cross is a national pet charity who have been helping sick, injured and homeless pets since 1897. For them, helping animals who are in need at Christmas is vital, as not all animals are lucky enough to be safe and warm over the holidays and have a true friend to look out for them. Help the Animals at Christmas will allow viewers to be a friend to pets in need and help change their lives as they change ours. The largest equine welfare charity in the world, The Donkey Sanctuary, has rescued thousands of donkeys and mules from a life of neglect, abuse and abandonment since its establishment in 1969. The winter months are The Donkey Sanctuary’s busiest time of the year for welfare calls and visits, with the cold, wet conditions making life even harder for mistreated or abandoned donkeys. Finally, the Wildlife Aid Foundation are dedicated to the rescue, care and rehabilitation of sick, injured and orphaned wild animals. Christmas time for this charity is very key with wildlife struggling during the winter as temperatures drop and food sources become increasingly scarce. Help The Animals at Christmas is delighted to partner with the BTR Liverpool Santa Dash 2018 as the official fundraising event. Participants are invited to support the charity campaign by taking part in the UK’s biggest festive 5K fun run on Sunday 2 December and raise cash while they dash. Up to 10,000 Santas dashing round Liverpool city centre is a spectacular sight, and features a finish line at Liverpool Town Hall with ‘real snow’ and festive characters. Youngsters also have their very own 1K Mini Dash. There is a virtual run option for anyone who would like to get involved but cannot be there in person on the day. Scotland’s hedgehogs need your help!